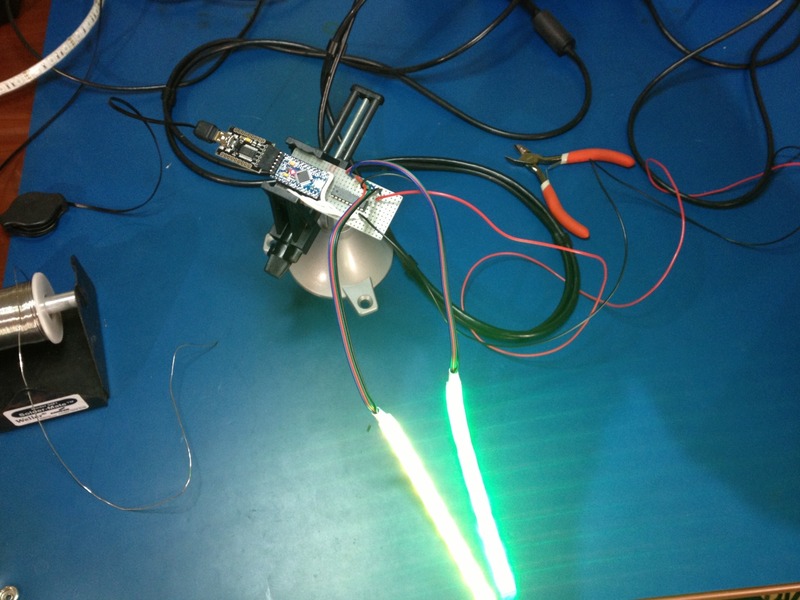 Project Hexa - Dual channel RGB LED strip flight+battery status module. 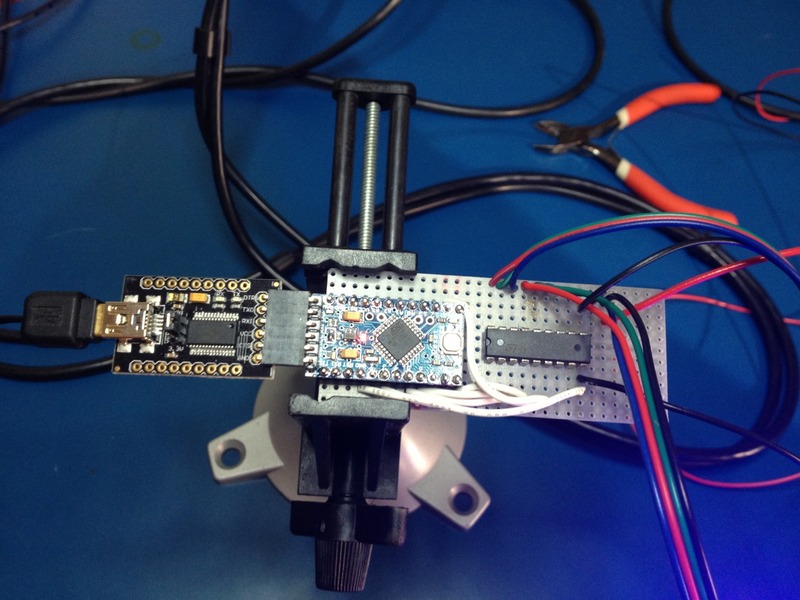 This is an arduino pro mini 16mhz with 6 PWM outputs coupled to an ULM2803 8 channel darlington array. 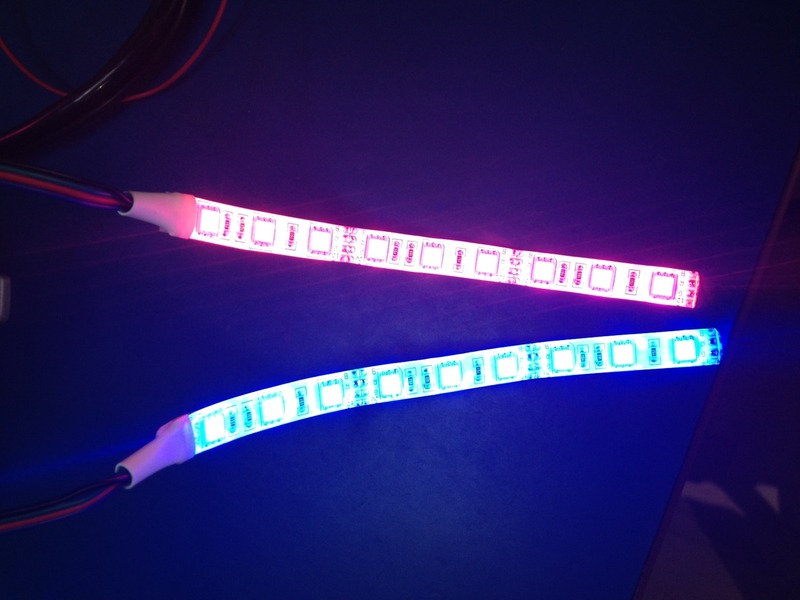 This will power 2x 3 LED strips for each of the arms of the hexacopter. The channels will be used left vs right, and will indicate flight mode and battery status alternatively to flight mode. When the APM is not armed, both sides will indicate battery status from green->orange->red solid color. When the APM is armed, they will pulse between left color (red) or right color (green), to blue or white depending on GPS lock, and then the battery status. Communication with the APM will be done via the Mavlink protocol.